Panida Suite is style manila house built about 80 years ago on the territory of the former royal palace H.H. Prince Prompong Atirach as among one of the most beautiful golden teak wood. 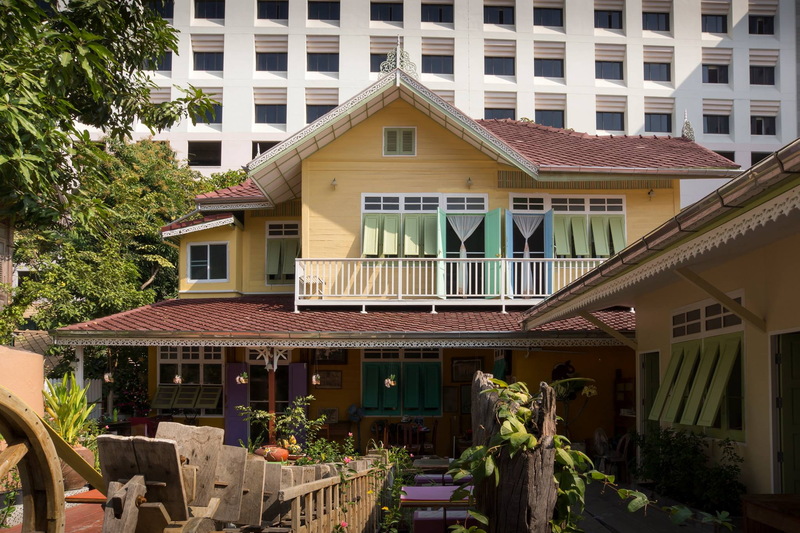 By the wooden house was designed for use peaceful under the touch of Thailand from among the wooden surrounds and enjoy the cool of the river which is just 50 meters away, with easy access from the road Ratchawithi. Just 100 meters to the identity of the Thailand of wooden house was well worth it with the amount of room for a comfortable fit guest attentive service from us. The serenity and the fresh air that is rare for a stay in the capital. Believes that if you choose to stay at Panida Suite the house to find out happy and impressed to get Panida Suite.